When you think of starting to surf, you may have an image in mind. There’s sun, fun and excitement. Your board is a high tech rocketship or maybe a styling cruiser. 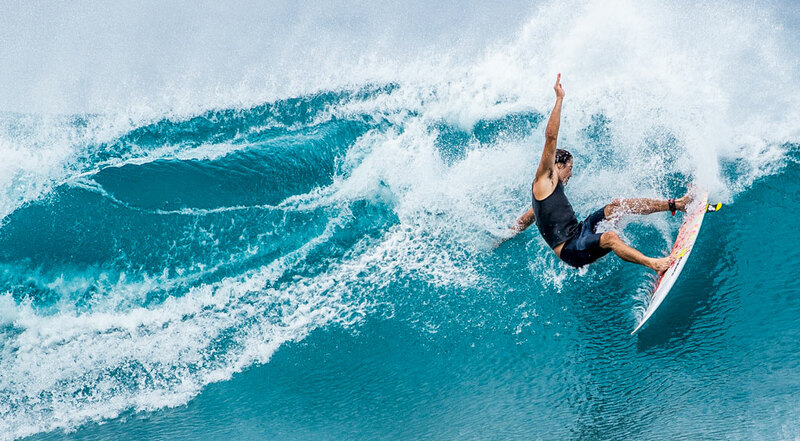 You see yourself mastering a wave, leaving your mark across a rolling wall of blue. In your mind’s eye, before you know it you’re a surfer, cruising all the way to the beach and ready to go again. Above, is this how you picture yourself starting to surf, leaving your mark on a wall of blue? Or below, stylishly cruising? This mental image is purposefully abstract. It leaves out a lot of things. For example getting out through the waves. If you’ve never surfed you might not even think about what’s involved getting out through the surf or the skill involved in actually catching an unbroken wave. So let’s check what’s involved, the best gear and approach, for you to be having fun going surfing. Many aspects of surfing involve having the right approach. One of the best overall approaches to have is an incremental approach, taking on surfing step by step. If each step you take is small, just one tenth of the way towards your goal, then it will only take 10 small steps to get there. In this way you are much more likely to have fun as you surf. Rather than taking on, all at once, what can often be an overpowering ocean. You want to ride a wave. That means going to a location where there’s waves. Choose a location where the ocean is easily accessible, so you don’t have to walk down any cliffs or over reef. You want your bare feet to go from soft sand to blue water without any obstacles. You also don’t want any obstacles, like rocks, in the water. Choose a place where the waves are small and easy. Think about a spot like Waikiki, Hawaii. This is a world renown surf spot not because it has the best waves in the world but because the waves are smaller, easy, accessible and fun. You don’t have to go to Waikiki but here is where you may have to start adjusting your mental image. The best wave to start surfing on is not a big wave. Not a big wall of blue. No amount of perseverance will see you master that type of wave in your first surfs. The best way to start surfing is on a small wave, a wave no bigger than your waist. There’s plenty of spots where there’s waves like that in our local area. Keep in mind that the ocean along with tides, change. Where the surf is too big today could be perfect tomorrow or at another locale. Step One for each surf is to find your right location, without obstacles, with waist high waves. A secluded location may have a lot of appeal offering uncrowded waves all to your self. However, having been around Beginner surfers it’s common that the unexpected happens. The board flips and causes a bang. There could be a break or a cut needing attention. The ocean and surfing is unpredictable. So make sure at your chosen surf location help is at hand, hopefully never needed. Okay, you are at the ocean. There’s golden sand and waist high waves. What will you ride? If you’ve seen the Pros or competent surfers you know they ride either small pointy rocket ship looking shortboards, or big styling longboards. So here’s where another adjustment of your mental image of starting to surf is needed. It may be possible to learn to surf on almost any surfboard, but there’s a definite board type that will maximise your fun and speed your progress. Maximising your fun means increasing your chance of immediately riding a wave while reducing your risk of a bad experience. So the best board to maximise your fun is a long softboard. This looks nothing like what most Pros ride and it looks much less performance oriented than most longboards. However this type of board, from a reputable brand, has been purpose made to help you quickly start to surf. The long softboard has lots of volume, this means there’s a lot of it. So it will float you well. Its width and length give stability, making it easier to get to your feet. You may need to make several moves to get up. For example you might get up on your elbows, then to your knees, then push up to your feet. Your board length helps with these moves as when you move your weight the longboard won’t react too much. It will stay stable, helping you get to and stay on your feet. We can help you with exactly the right board to match your size and body type. The surf can be unpredictable and your body movements can also bring on unpredictable results on the wave. So the softboard is soft. If you fall on it, or it falls on you or bumps into you, the risk of harm is greatly reduced. You’re at a nice beach where there’s waist high waves. It’s easiest to just paddle out and catch them, right? To get to, and catch waves, you want to minimise your paddling. Why? Paddling is something you’ve never done before. It doesn’t look that hard to do, laying on your board and swinging your arms. To do it well though requires strength in certain muscle groups and a special technique. These are things you don’t have for your first surf. So to get that first wave, to have fun first surfs, look for a spot on the beach where the waist high waves are breaking in shallower water. The idea is that the more you can walk out to a wave, the less paddling you have to do, the easier it will be to catch the waves. You don’t even have to paddle to catch a wave. If you can stand in waste deep water, you can turn your softboard toward shore, and then push yourself on to the wave as it comes. Catch it then stand and ride it. Depending on the tide you may not be able to stand as the water may be too deep. So you may have to paddle. So paddle to a spot that’s not too far from shore. Turn your board around and wait for the wave. When the wave comes start to paddle. Your softboard, if from a reputable brand, can catch a wave with minimal effort or even without paddling. When your board catches the wave let that initial bumpiness subside and as you feel the board cruising get to your feet. At Manly Beach in the south end, and at Freshwater beach in the north end, are normally where you’ll find these ideal shallow easy to surf conditions. You can start your surfing in any water temperature. However at different times of the year the water temperature can range from warm to cool and cold. Warm water is great as it means you don’t need any additional wetsuit to keep you warm. 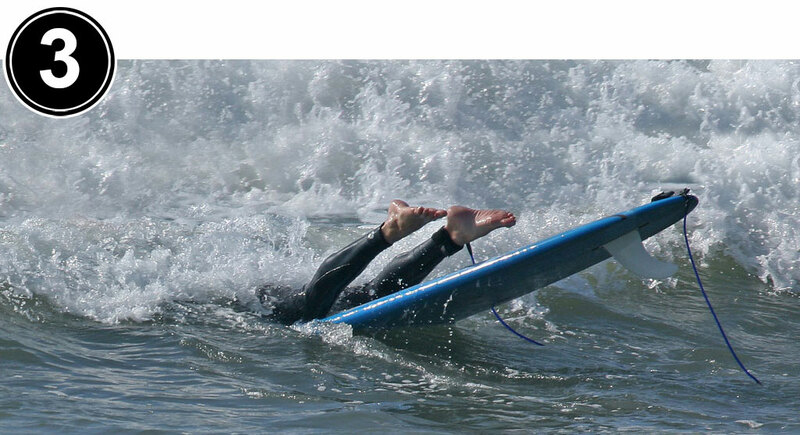 It’s true wetsuits do weigh you down making it marginally harder to start surfing. So feeling free could be an advantage. If you’re not using a wetsuit and the water is warm, normally the sun will be warm too. So make sure you protect your skin from the sun. Even if the water is warm it’s still common when starting surfing to use a wetsuit as it provides a mix of protection and comfort. The suit coverage gives you protection from the sun. Only your face and hands are really exposed. The suit padding gives you comfort. When you’re lying on your board the wetsuit padding gives a soft layer that you’re lying on. You get the same comfort for your legs when sitting on your board. If the board comes your way and you get a bump this padding from your wetsuit helps soften it. So even if the water’s warm, and certainly if it’s cool or cold, it’s good to get a wetuit. The most common wetsuit is the steamer. This has a high neck with long legs and long arms. There’s all fancy models, but the simplest to get on and off, to get started with, is a back zip steamer. You have different options on how to get started with your surfing in terms of getting a board and wetsuit. Do you borrow? Use the gear at a surf school? Buy or hire? Step Five is our first fork in the road. Where you have to make a decision. You’ve got your location ready to go where you can catch waves safely. You know you need a softboard and wetsuit. Where will you get them? You could borrow them if you know another surfer. This is not such a good idea. If the board specification isn’t ideal, if it’s not as big and long as it could be, you won’t have the optimal chance to start to surf. The same with the wetsuit, if the fit’s not right it won’t work properly, reducing your comfort and fun. It might even rash you, or rip. Having the wrong gear could mar your first surfing experience because you aren’t getting the best gear and support to start your surfing. If you damage the gear it could mar your friendship too. You could go to a surf school. This is a great idea. At the surf school you get your softboard and wetsuit provided, and guidance too. But lessons only last so long, and most progress is normally made outside of the lesson. Lessons also have a cost which can quickly mount up. You have the option to buy your gear. This has good and bad points. The good is that if you buy your gear you can make sure at the shop you get the best fitting wetsuit and exactly the right softboard. So your gear is optimised for your success. Also you’ll have your gear on hand to go surfing whenever you want. This can be early morning or late afternoon, anytime. You don’t have to limit your surfing to surf-school hours or when you can borrow your gear. If you get the right gear, your wetsuit can be used beyond your beginning stage. Your softboard too, if a good brand it can easily be upgraded as you progress. At our shop you can easily trade to your next more advanced surfboard as you progress. The bad about buying is that it’s a sign of real commitment. It may not be warranted or practical so early in your surfing. You may not know if you like surfing. You may be on holidays or only near the surf for a short time. So you don’t necessarily need to make that big purchase commitment. So the other option is to hire your gear. This is a very cost effective way to get started at around one twentieth of the cost of buying your gear and less expensive than surf school. 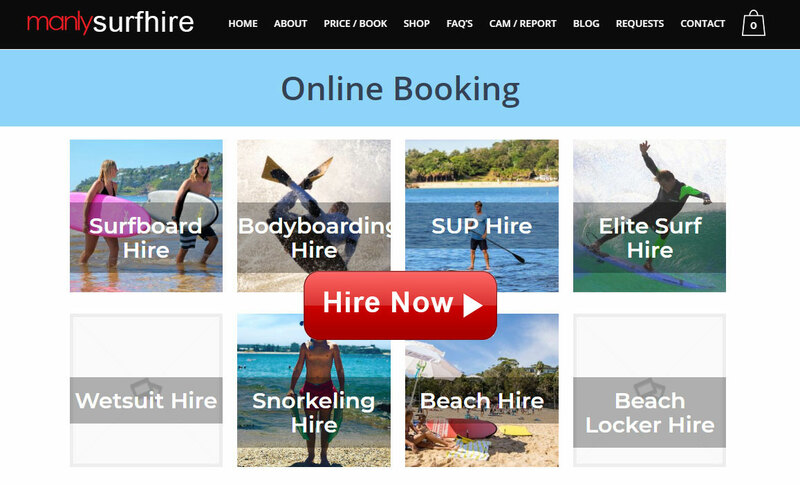 Manly Surf Hire can make sure you have the right board to match your experience. Wetsuits are also available for every size and body shape. Manly Surf Hire is aligned with our shop so there’s the potential to put a part of your hire cost towards your new gear when you decide to purchase. With the choices you have above, the main thing is don’t blow your first time surfing by getting the wrong or sub-optimal gear.